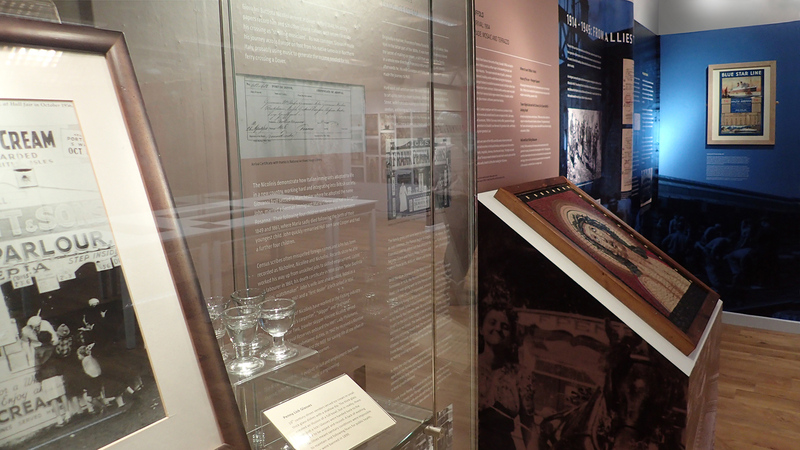 Italian Connections is exhibited at the Streetlife Museum in Hull. 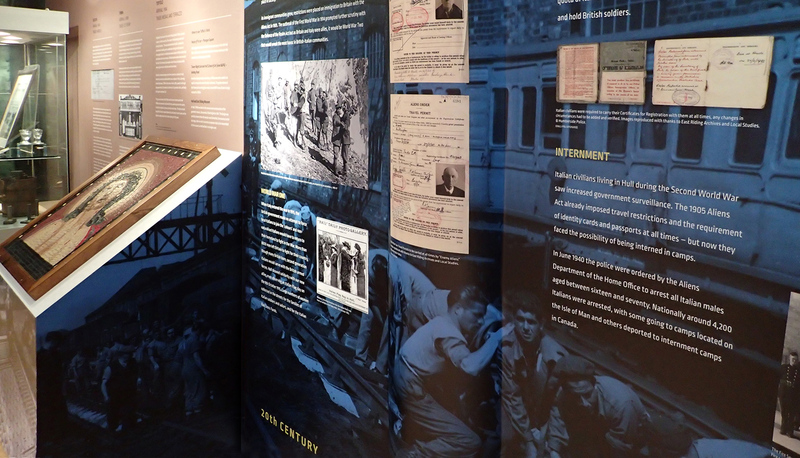 The exhibition looks at the links between the country and Hull from medieval trade, the reformation and subjugation of Catholics, to the First World War as an ally and the Second World War as an enemy, as well as POWs, the tragedy of the Arandora Star and the immigration of Italians to Hull between the 1830s and 1920s. 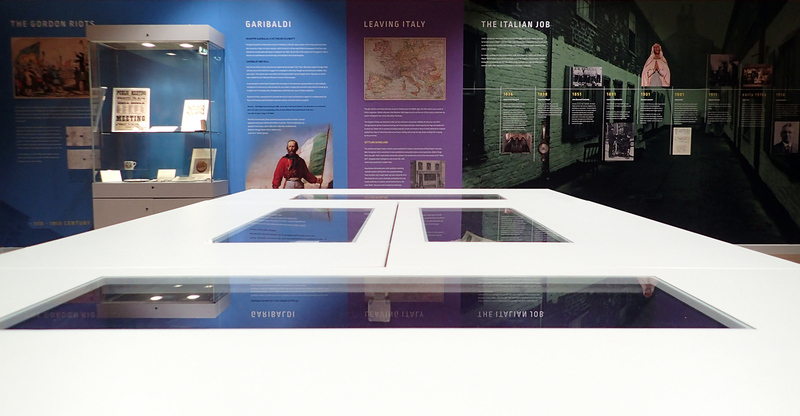 The exhibition charts the history of the city’s most well-known Italian families and their influence on the regions business and culture. 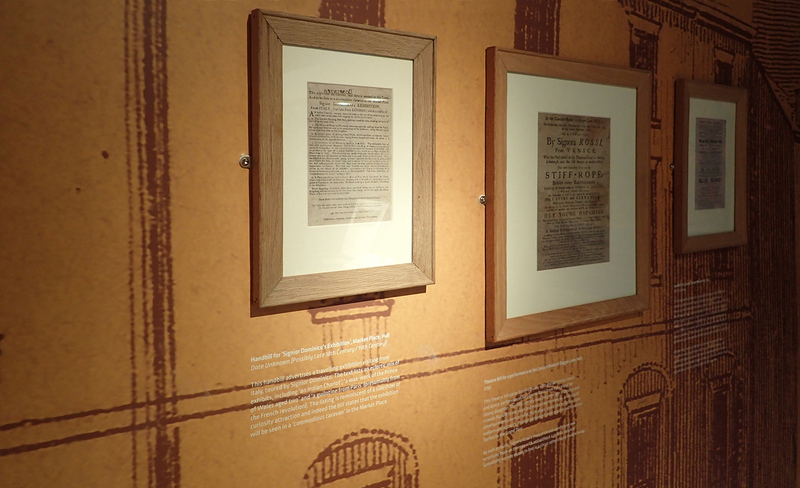 Human Design were commissioned to design an exhibition that would be both engaging and educational. 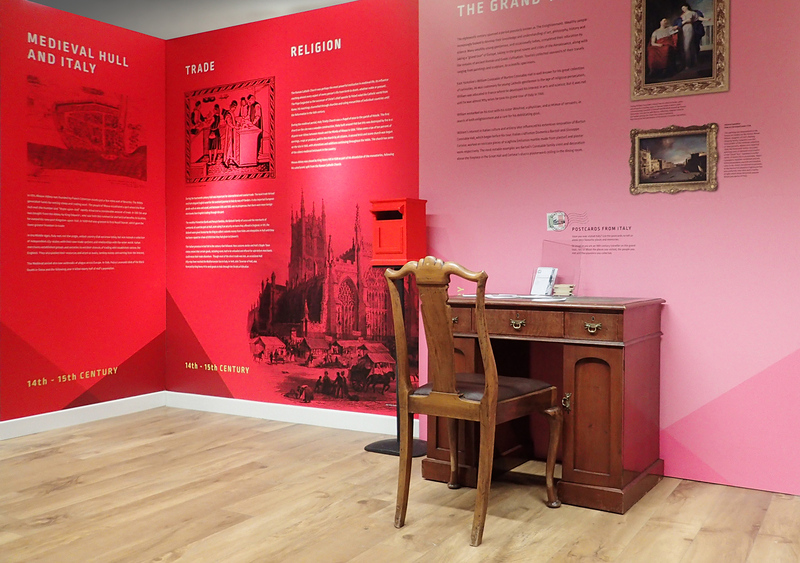 We achieved this by using large format wall graphics, real-life items and works of art as exhibits to create a space that would lead the visitor through the centuries of Italian life in the city. Colour was an important consideration when designing the information graphics. Moving through the space the shift in colour and tone draws the viewer over a time line and around the exhibition. See Curious Collector, Amy Johnson Festival and AT&T for more exhibition related design.